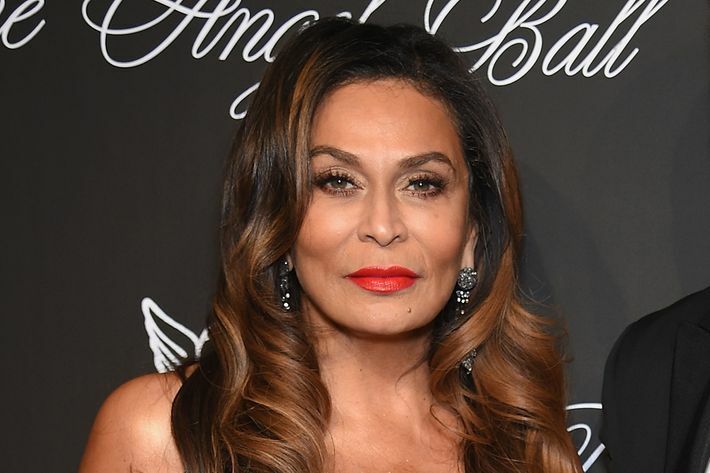 Tina Knowles-Lawson, the great matriarch of the Knowles family who brought Beyoncé and Solange into the world, is, among her many talents, an Instagram pro whom we can count on to post pictures of random shopping trips, tidbits of info on her daughters, and corny jokes on the occasional Friday. Unfortunately for us, however, Tina is taking a break from social media after she says she accidentally “liked” a comment by a user who was talking smack about Jennifer Hudson in a clip from the 2006 musical Dreamgirls. Trust, this did not go unnoticed. Members of the Beyhive might (perhaps, bitterly) recall that Hudson famously won an Oscar for her role in the film while starring alongside Beyoncé, thus effectively outshining one of the world’s biggest stars in what was supposed to be a breakout role for Queen Bey. So, you can see why Tina’s like definitely didn’t go unnoticed. As news of the like and apparent diss spread, the speculation, though, became too much for Tina. The following morning, she posted a video of her joking around with a friend while watching a sunset (a true Tina post if there ever were one! ), but in the caption, she made sure to include quite a lengthy explanation of how her unfortunate like came to be. She writes that she has only the utmost respect for Jennifer Hudson and that she has “been in admiration of her talent and beauty and kindness I would never ever say anything negative about her or agree with anything negative!” In fact, she writes, she was merely looking at videos of Beyoncé and saw one of her with Jennifer Hudson and somehow may have accidentally touched a button. As a result of all the negativity, however, Tina will be taking some time off. Which leaves us with the question: Where will we get corny Friday jokes from? Tina — we miss you already. “I never seen anything lak it”.Just clowning around with my clowning around buddy Kaleb having fun I am writing this commentary for Jennifer Hudson and not for the evil mean people that are making this into a social media ugly thing. I’ve known Jennifer Hudson for many years and have totally been in admiration of her talent and beauty and kindness I would never ever say anything negative about her or agree with anything negative ! Mychildren worried that I might accidentally touch something when looking at other sites and have warned me about it . They always say that I am not that great on social media I have to be very careful . and somehow maybe I touched a button but the truth is I was on my Instagram and someone commented on Beyoncé (positive) by the way , and I went to look at their site and saw some good videos and performances of Beyoncé I came across the video of her and Jennifer (which I totally enjoyed) and I was looking at them I didn’t even look at the comments or what people were saying till just now. and I absolutely would not have touched a like or dislike on one of these sites. I think if you look through my Instagram you’ll see that I am not a hater and I am not negative about people so to Jennifer for my mistake of accidentally touching it which I don’t remember doing I really apologize I totally love and Admire you❤️and I’d have to be pretty stupid to do that knowing it would be everywhere, but I will be taking a break from social media as this is the bad side of it. There are people who make thier living off of negativity.